Have you felt the burn of acid reflux or GERD? And when you reported the symptom to your doctor, you probably received a prescription for the little purple pill or another type of antacid. 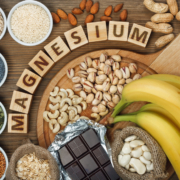 While these meds can provide relief from symptoms, continued use often results in deficiencies in Vitamin B12, calcium and magnesium (meaning digestion isn’t working). While acid reflux can be caused by an hiatal hernia, pregnancy, or an unhealthy diet, most cases of acid reflux are caused by an imbalance of stomach acid. Not too much, but actually too little! 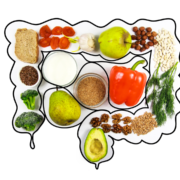 Without the proper level of hydrochloric acid in the stomach, your body has less protection from the bad bugs that come in with your food, and protein cannot be broken down to its components for absorption in the small intestines. Hence, the nutrient depletion. What are the signs of possible low stomach acid? If you have suffered from the discomfort of acid reflux or any of these other symptoms, there is hope. You can begin to supplement your supply of stomach acid to support improved digestion and fuel your cells with nutrients they need. There are several options for doing this, with the simplest being taking a shot of raw apple cider vinegar mixed with an equal amount of water in the middle of your meal. I recommend you start with a tablespoon of each, and you can increase to 2 tablespoons if you don’t notice a change. Take the shot in the middle of the meal so that you don’t compromise the stomach acid your body is naturally producing. Boosting your stomach acid to improve your digestion can be a simple way to support relief of a variety of symptoms. If you have been taking a medication to control stomach acid, I don’t recommend that you stop suddenly. It is better to wean off with the support of a health coach – me! Want to explore more ways to improve your digestion? Contact me to schedule a consultation. Your health – your future – are worth the effort you expend to pursue wellness! Edit Your Digestion - Chew! Loves Me, Loves Me Not Dealing With Stones?